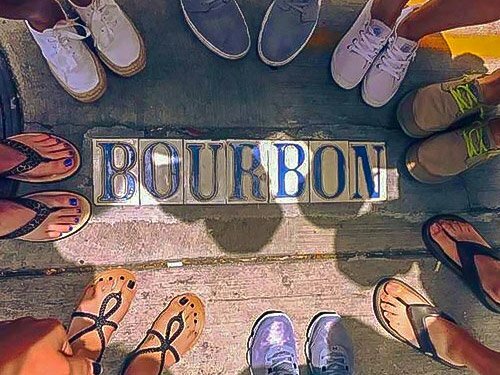 New Orleans has been rated one of the “Ten Best Cities for Hosting a Bachelor Party" for obvious reasons – because you can party all night long in the French Quarter. Still, you can't drink all the time. 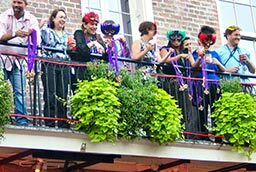 If you're looking for New Orleans bachelor party ideas or are planning your New Orleans bachelorette party itinerary, here are some great suggestions along with some trusted vendors who can help you pull it off. Satisfy your inner Scarlett O'Hara on a tour through Plantation Country. Riverbend Limousine & Tours can take your friends on private trip back in time to see grand plantations along the Great River Road. Sip mint juleps under live oak trees dripping with Spanish moss and take photos with magnificent backdrops. Learn more. We can’t think of anything more fun than dining on authentic South Louisiana cuisine and two-stepping the night away to Cajun music at Mulate's. Learn more. Tujague’s, Brennan's, Court of Two Sisters…this city is full of great brunch spots with fabulous food and fun cocktails. For your bachelorette party New Orleans, check out these great New Orleans restaurants. The Steamboat NATCHEZ is an ideal spot for a bachelorette party. You'll enjoy authentic New Orleans cuisine, dance to live jazz and take in spectacular views of the city. Steamboats have been coming to our port since the first steamboat, the New Orleans, arrived here in 1812. Make this your "something old." Learn how to cook like a celebrity chef and eat what you cook with an entertaining Cajun and Creole Cooking Class at New Orleans School of Cooking. Your bride will be so impressed when you test out your skills on her, she might just decide to keep your around. Put this award-winning experience on your New Orleans bachelor party itinerary. Learn more. There’s no place like New Orleans for nightlife. If you’re looking for a dance club with a balcony overlooking Bourbon Street with high-tech light laser shows and great DJs head for Bourbon Heat. Learn more. Okay, maybe not wrestling, but you can see alligators, wild boar, great herons and other critters in their natural habitat on a swamp tour. 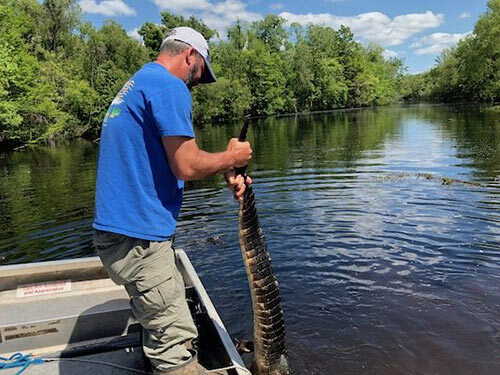 Choose between airboats, traditional swamp boats and even kayak tours. Find out more. Bachelor (or bachelorette) parties can be a moving experience with New Orleans Pedal Barge. See the city on a canal tour and visit with your pals at the same time! Twelve pedal seats surround a table with built-in coolers. The benches are padded for your comfort and there’s even room for six additional passengers (you can take turns pedaling). BTW, pedaling can be as easy or difficult as you like (there’s even a backup motor if you decide you just want to kick back and relax). The party that stays together, plays together. 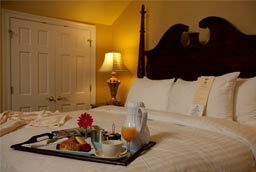 Check out these great hotels or consider renting a French Quarter Townhouse or the Carriage House at Maison Dupuy. Plan your party with the help of the vendors below. 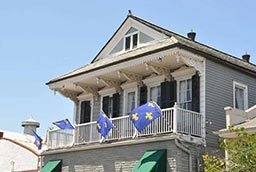 The understated Victorian homes and French Quarter cottages exude New Orleans style while keeping your entire bachelor or bachelorette party together. Plus, you'll be within easy walking distance to top New Orleans attractions. Celebrate leaving the single life behind in luxurious style with the Carriage House at Maison Dupuy. The two-story cottage nestled in the French Quarter and comes complete with its own private courtyard. If dancing is on your agenda, Bourbon Heat should be part of your bachelor or bachelorette party plan. The club features an energetic energy, high-tech light shows, and the best DJs around town. 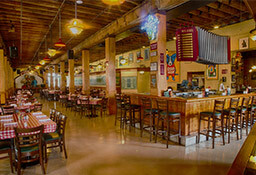 Located in the Central Business District, Mulate's Cajun Restaurant captures the sights and sounds of the Cajun culture! Perfect for your bachelor/bachelorette party, shower, rehearsal dinner or wedding reception.